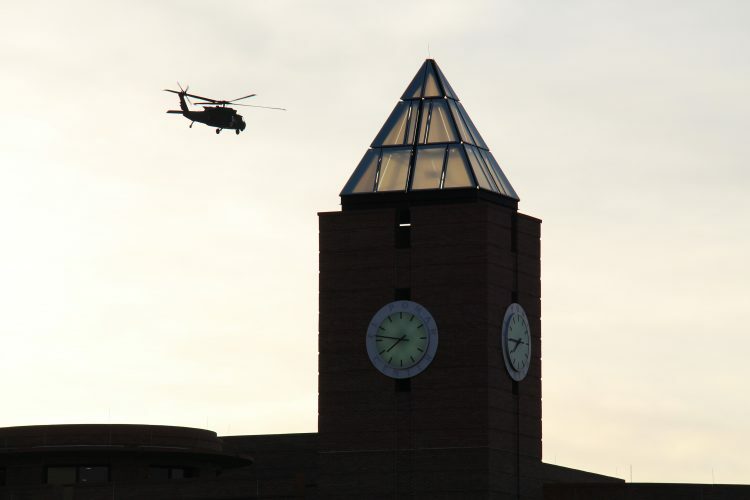 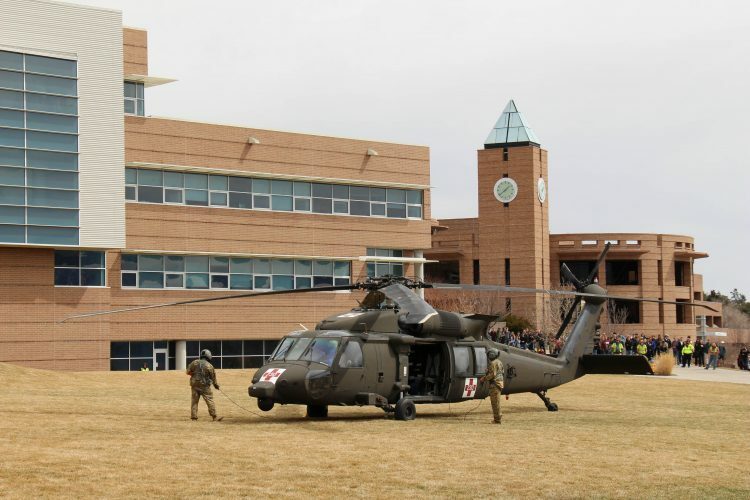 Hundreds of students, faculty and staff sat in the cockpit, stepped into the larger transport area and talked with representatives from the U.S. Army Reserve as a HH-60M helicopter spent more than five hours on the West Lawn. 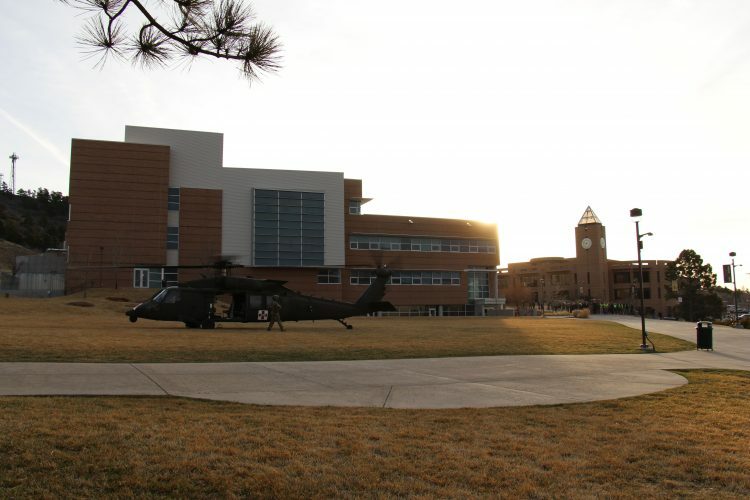 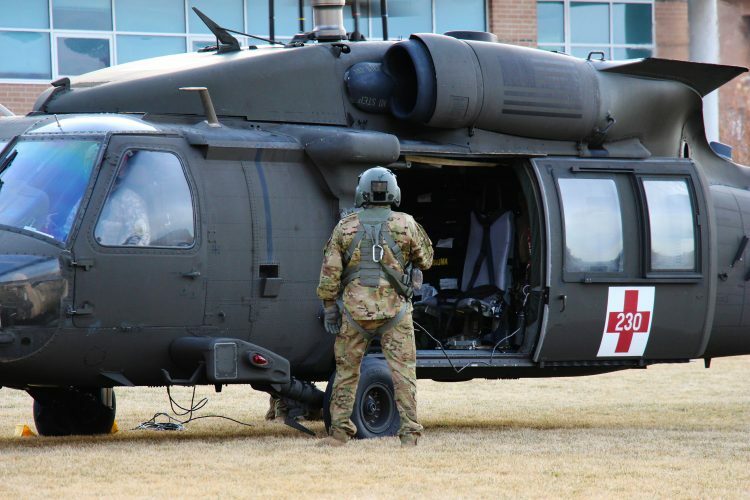 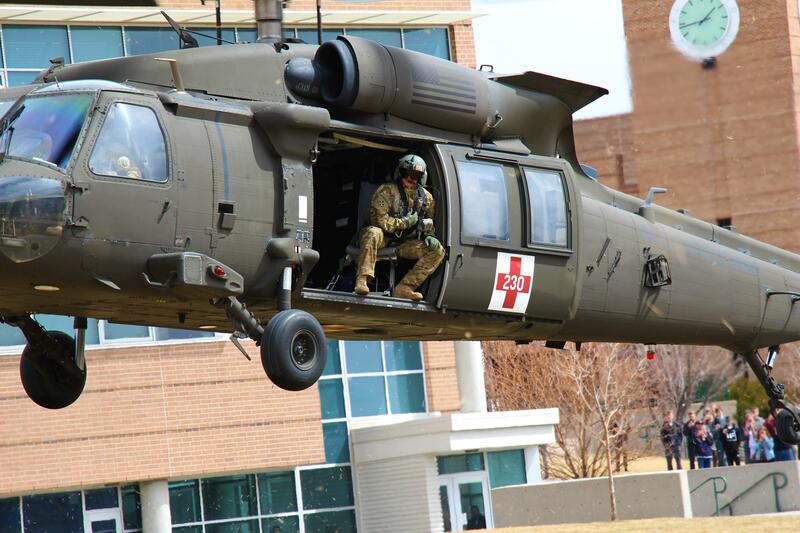 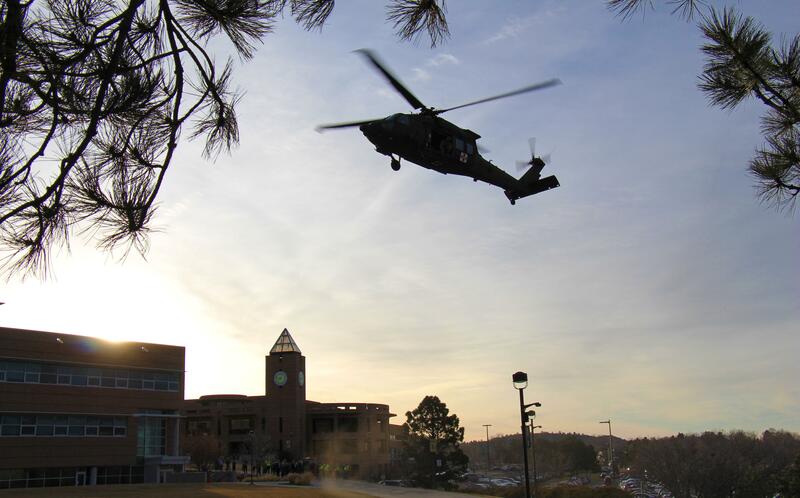 The visit was coordinated with the UCCS Army ROTC program for the Colorado Springs Recruiting Company’s STEM Week activities. With all systems disconnected, people could climb into the cockpit and touch and interact with the foot pedals and joysticks. 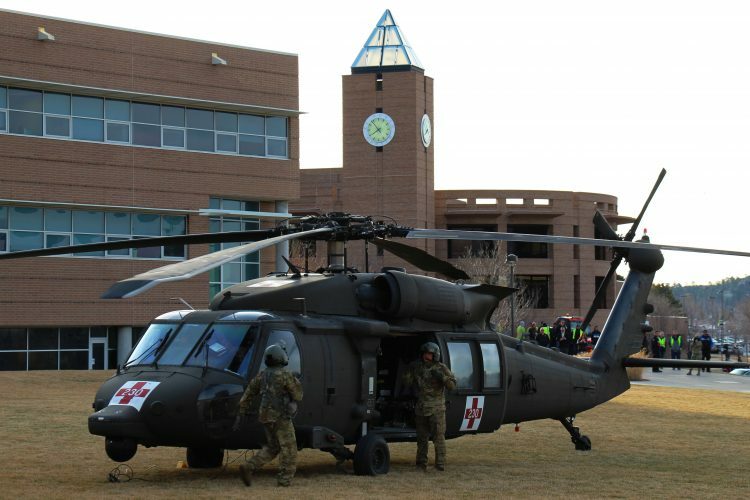 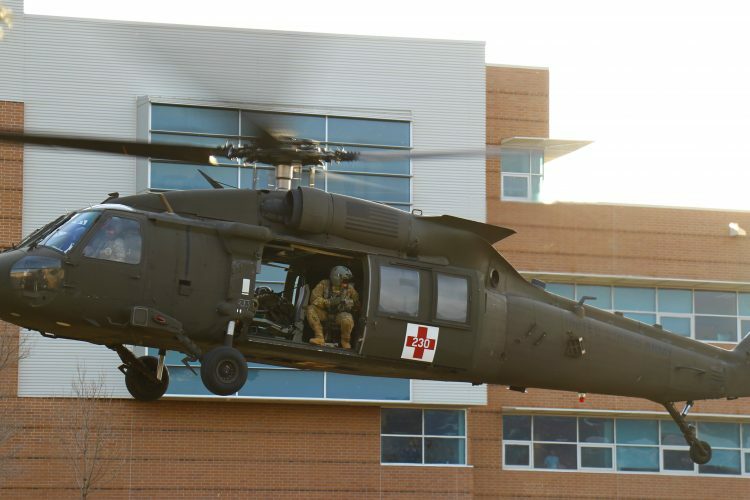 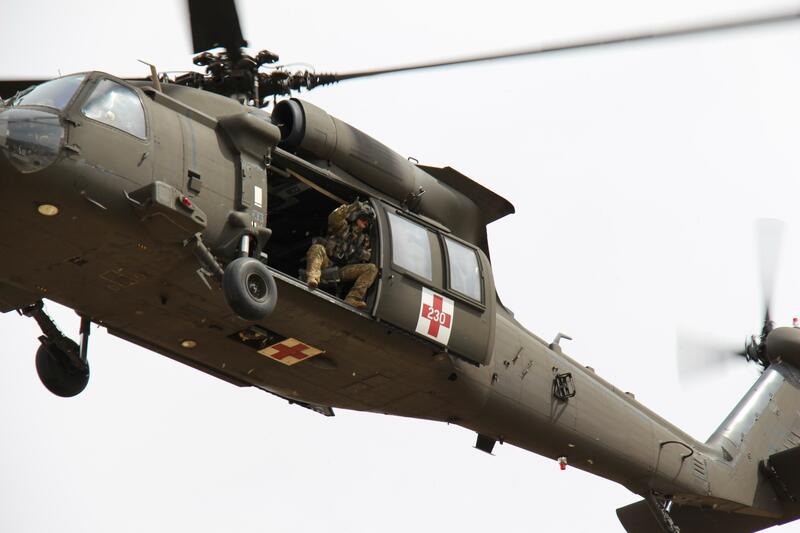 The transport area, used to move injured troops from the battlefield to field hospitals, was also open for people to sit in the seats and explore the helicopter. 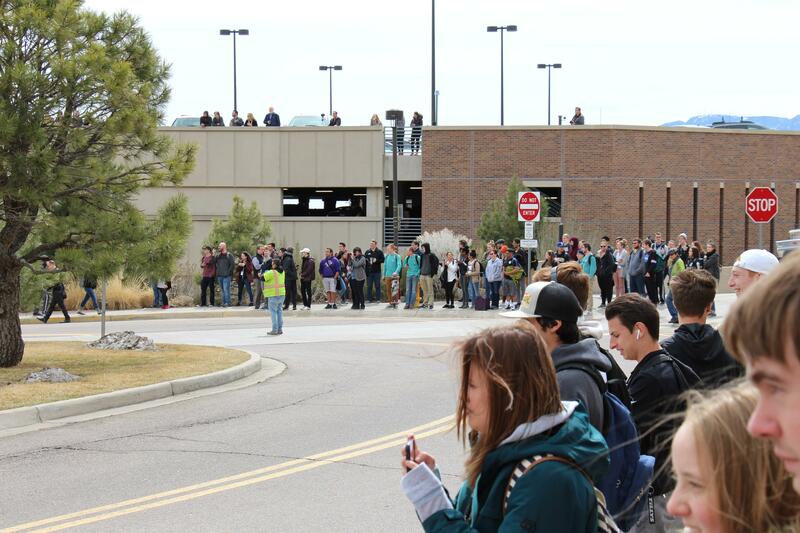 A bomb-defusing robot was on site for people to interact and control. 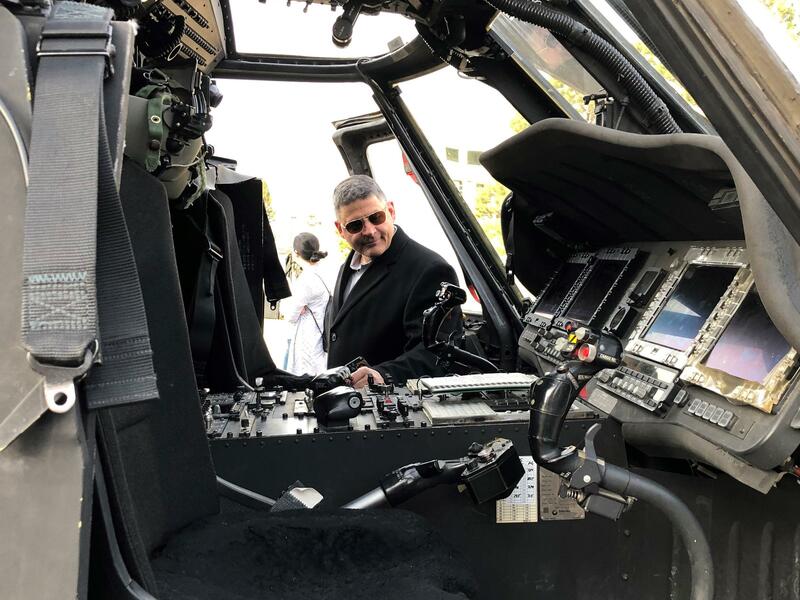 Chuck Litchfield, vice chancellor for administration and finance, looks inside the cockpit after the landing. 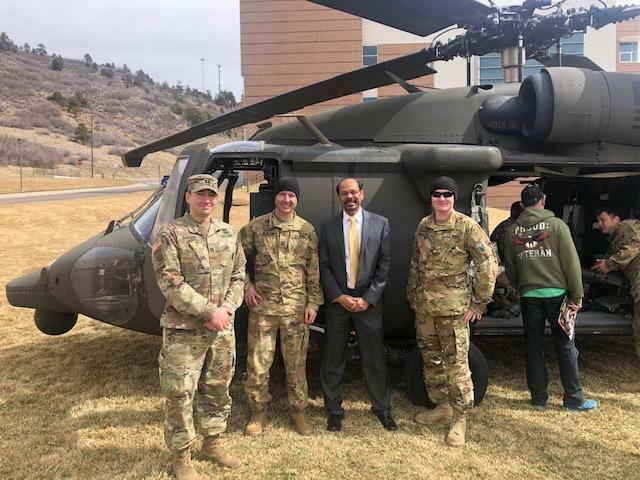 Chancellor Venkat Reddy, center, stands with members of the U.S. Army during the helicopter visit March 21. 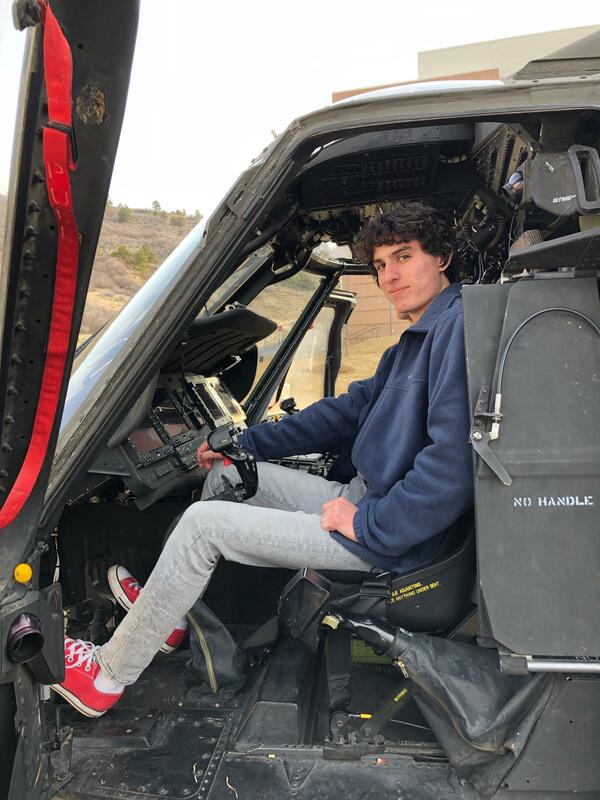 Israel Wheatley, an interdisciplinary studies major, sits in the cockpit. 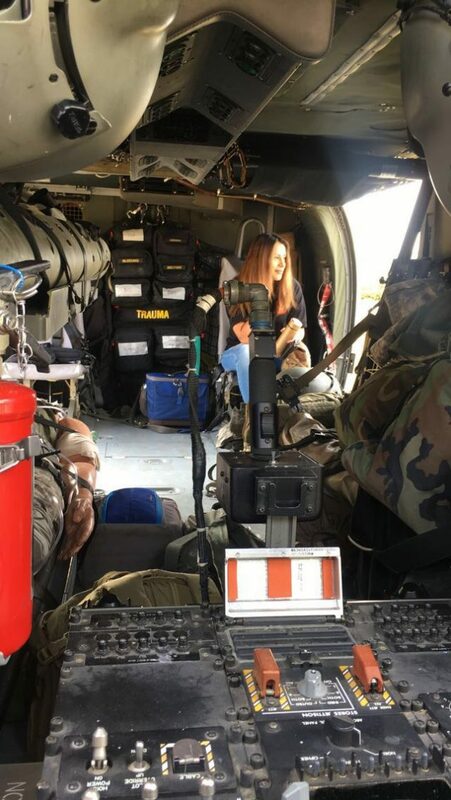 A student sits in the transport area in a view from the cockpit seat.